WABCO Holdings Inc. (NYSE: WBC), a leading global supplier of technologies to improve the safety and efficiency of commercial vehicles, introduced its next-generation TX-TRAILERGUARD™ fleet management solution today at IAA Commercial Vehicles 2014 in Hanover, Germany. 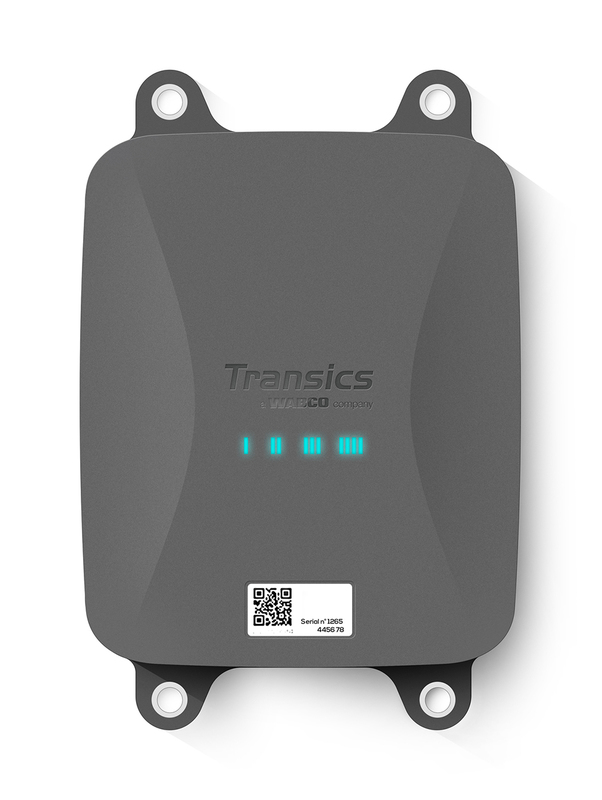 TX-TRAILERGUARD™ combines the functionalities of WABCO’s award-winning TrailerGUARD™ telematics solution with Transics International’s back office software platform TX-CONNECT™. TX‑TRAILERGUARD helps commercial vehicle fleet operators improve their vehicle fleets’ safety and efficiency performance while reducing costs. TX-TRAILERGUARD marks the first product integration after WABCO acquired the fleet management systems company Transics, a market leader in Europe, in February 2014. The innovative telematics solution integrates the comprehensive real-time data gathered from WABCO’s on-board advanced braking, stability control and efficiency systems with Transics’ back office software, TX-CONNECT, and its related suite of telematics systems. TX‑TRAILERGUARD enables effective truck, trailer, driver and cargo management in real time. The new integrated telematics system will be available from 2015. WABCO’s TrailerGUARD telematics system, introduced in 2010, allows commercial vehicle fleets to remotely monitor a vehicle’s various operating data such as electronic braking system (EBS) performance, roll-over alerts, mileage, axle load, tyre pressure, temperature inside a refrigerated trailer and door status, among other operating functions. In addition, TrailerGUARD offers remote diagnostics capabilities enabling fleets to schedule preventative maintenance. TX‑CONNECT aggregates these newly available data streams into a single dispatcher view and related management reports, providing fleet operators additional insights to improve their fleets’ safety and efficiency performance. Following the acquisition of Transics, WABCO has diligently advanced the integration and global expansion of fleet management solutions. As recently announced, WABCO signed a groundbreaking contract with Saudi Arabia-based Almarai, one of the world’s largest dairy companies. WABCO will equip Almarai’s entire long-haul vehicle fleet of more than 1,300 trucks with its industry-leading fleet management solutions. WABCO vehicle safety and efficiency systems will be demonstrated daily (outdoor exhibition area, north of Hall 26). See an advanced driver assistance system in action: WABCO rear blind spot monitoring with automatic braking. In addition, discover innovative WABCO aerodynamic concepts for trailers. Didier Nulens, Chief Commercial and Operations Officer, Transics, will address “Fixed vs. Mobile Telematics Solutions” on September 25 at 2:40 p.m. in the Convention Centre. P. Kaniappan, Vice President, WABCO INDIA, will address “India’s New Role in a Globalised Commercial Vehicle Industry” on October 1 at 12:10 p.m. in the Convention Centre. Press photo caption: WABCO introduced its next-generation TX-TRAILERGUARD™ fleet management solution at IAA Commercial Vehicles 2014. It marks the first product integration after WABCO acquired Transics in February of this year. TX-TRAILERGUARD integrates the comprehensive real-time data gathered from WABCO’s on-board advanced braking, stability control and efficiency systems with Transics’ back office software, TX-CONNECT™. Transics International BVBA, a WABCO company, was established in 1991 and develops and commercialises fleet management solutions for the transport and logistics sector. Transics is a global full solution provider of truck, driver, trailer, cargo and subcontractor management. Our solutions are the result of many years of experience, thorough R&D efforts and an intensive focus on the customer experience. Transics, headquartered in Ypres, Belgium, has become a European leader in its sector and is active worldwide.